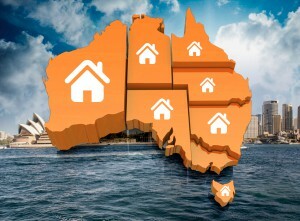 Have you ever wondered how much do you need to earn to be able to afford a house in Australia? Well…even though 2018 saw a substantial cooling in the property market, house prices still remain considerably high, with the proportion of those choosing to rent continuing to rise. A survey by The Salvation Army revealed that more than half of our country’s adult population believes that the great Australian dream of owning a house is over. 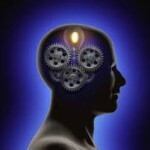 Could this really be true? 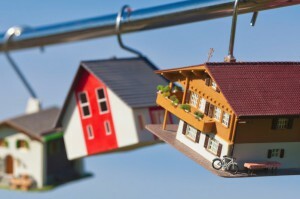 Has owning your own house in Australia truly become unachievable? To answer this question OpenAgent crunched the numbers on housing affordability to determine how much the average Australian needs to earn in order to afford a house in Australia. 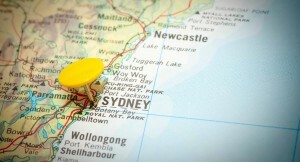 Which Australian city is under the most mortgage stress? A homeowner is considered to be under mortgage stress if over 30% of their income goes towards home loan repayments, but just to make things clear this doesn’t mean they can’t make their mortgage payments. 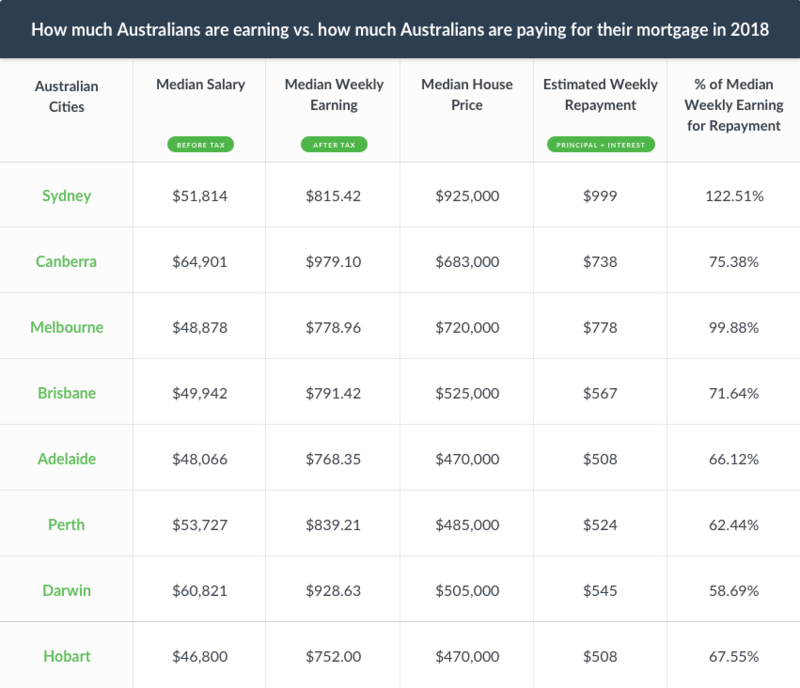 So we compared the median weekly earning, median house price and estimated weekly repayments using the Westpac Mortgage Calculator and data from the Australian Bureau of Statistics. These estimates are based on the current Australian Standard Variable Rate of 5.05% for a 30 year mortgage, excluding a 20% deposit. With a median house price of $925,000, those wanting to live in Sydney would have to pay approximately $999 in weekly repayments, working out to be more than the entire median salary! Not much better in Melbourne, 99.88% of median weekly earnings would have to go towards $778 weekly repayments for a median $720,000 home. Buying a home at the median price in Canberra and Brisbane would require the average individual to fork out around ¾ of weekly income with 75.38% and 71.64% needed respectively to pay for weekly repayments. Compared to other areas of Tasmania, homeowners in Hobart would need to put 16.63% more of their weekly income towards mortgage repayments of $508 for a median house valued at $470,000. Mortgage stress in Adelaide, Perth and Darwin would likely be less compared to other capital cities, however, still sit at almost 60% or more. How much do you need to make to afford a house in your state? So, how much exactly do you need to make in your state for weekly repayments on a median priced home to be under 30% of your weekly income? 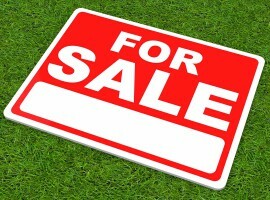 $19,305 above their current median salary, Tasmanians would require a salary of $63,440 to comfortably purchase a home. 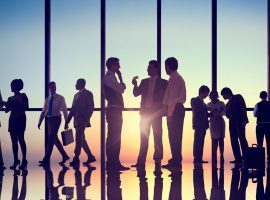 Coming in with the second lowest required salary of $76,093, South Australians would need to make $29,474 more than the median salary. 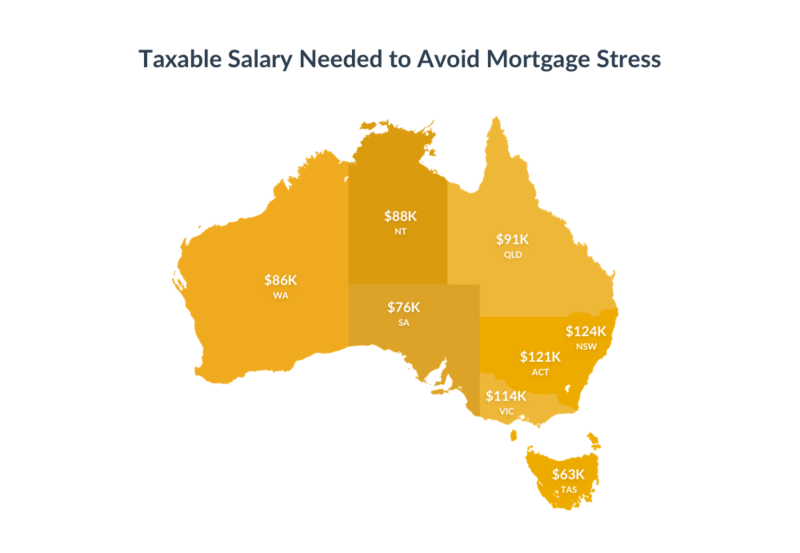 The current median salary is $33,456 below the required $86,127 needed for Western Australians to avoid mortgage stress. Those in the Northern Territory would need to make at least $86,147 a year to sustainably buy a home, $31,790 more than the current median salary. In order to avoid mortgage stress, Queenslanders need to be raking in a salary of $91,347, $44,170 more than the median salary. Rounding up in the top three states with the highest required taxable salary, you would need to make $114, 227 a year in Victoria to avoid mortgage stress, a massive $66,758 more than the average. The ideal taxable salary needed to comfortably purchase a house in the ACT is $121,680, a significant step up from the median salary. And of course, NSW takes the top spot with a $124,453 salary needed in order to avoid mortgage stress, a whopping $75,197 more than the current median salary. 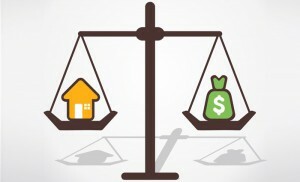 How much do you need to make to afford a house in your capital city? As expected, we found the taxable salary required in each capital city to comfortably afford a median priced home is substantially higher than the median salary. Tied as the capital cities requiring the lowest salary to sustainably afford a house, Hobart and Adelaide set the bar at $88,053, around $40,000 more than the current median salary. In order to avoid mortgage stress, those in Perth need to be making $37,100 more than the median salary, working out to be $90,827. Those in Darwin require a taxable salary of $94,467, $33,646 more than their current median salary. A massive $48,338 more than the median Salary, those in Brisbane would need to making $98,280 a year. Ranking third on the list, individuals would need a median salary of $127,920 to avoid mortgage stress, almost double the current median salary. Those in looking to buy in the Melbourne property market would need to be making $85,946 more than the median salary with $134,834 in taxable income a year to sustainably purchase a house. 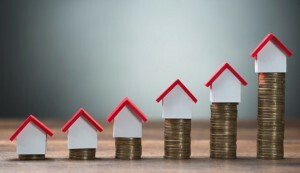 Though it might not come as the biggest surprise, individuals looking to buy a home in Sydney would need to be making over three times more than the current median salary, working out to be $173,160 a year, in order to avoid mortgage stress. It’s clear that the average individual would be under considerable mortgage stress in order to purchase a home at the median price in their state or capital city. Especially in NSW and Victoria where the median earning to median repayment ratios were the highest, it would take at least two separate incomes to purchase a house without being under mortgage stress. 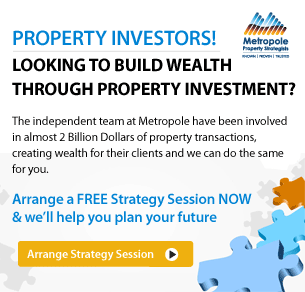 That’s why strategic property investors select locations where people have higher disposable incomes than the state average as these are the types of suburbs that have more growth potential.